Ted Turner, son of Tom and Yvonne Turner, passed away unexpectedly on June 6, 2012. 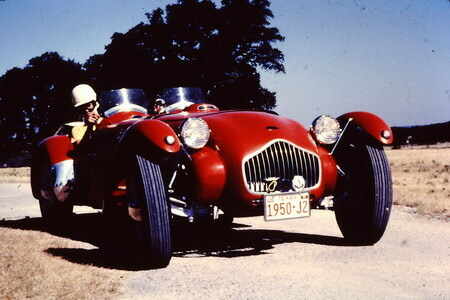 Longtime Allard owners will remember Ted’s father, Dr. Tom Turner, who was the major Allard cheerleader in the US until he passed away 20 years ago. Ted accompanied his father to racing events and assisted him in the restoration and maintenance of his many cars. 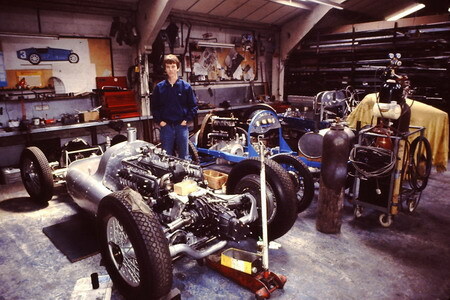 Ted was actively involved in working with his father in the collection, restoration and racing of Allards throughout the late 1980’s and early ‘90’s. Ted’s interest and enthusiasm for Allards continued after Dr. Tom Turner’s sudden passing in 1994, as he supported and assisted his mother, Yvonne as she continued to campaign Tom’s beautiful and infamous flathead powered J2. Other Allard owners have since come to appreciate Ted’s assistance as he has continued to share items from his father’s extensive Allard archives and parts bins. Ted graduated from Trinity University in San Antonio and University of Illinois at Urbana-Champaign. Ted was an Adjunct Professor of Biology for Dallas County Community College District at El Centro College and Brookhaven College. Ted is survived by his wife, Elizabeth Hinkle-Turner; 2 sons, Jerry Turner and J.T. Turner; a sister, Anne Turner Rhodes and a brother, Bob Turner.